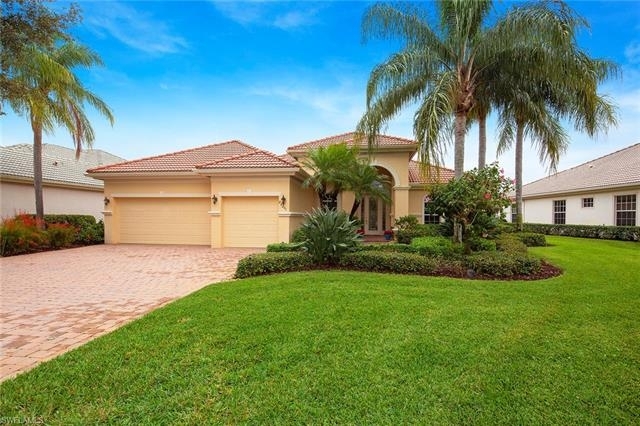 *** Brand New Roof Coming 2019 ***Stunning Verona great room floor plan with 3 bedrooms, den, 3 full bathrooms, and 3 CAR GARAGE (fabulous extra space for your toys and storage). 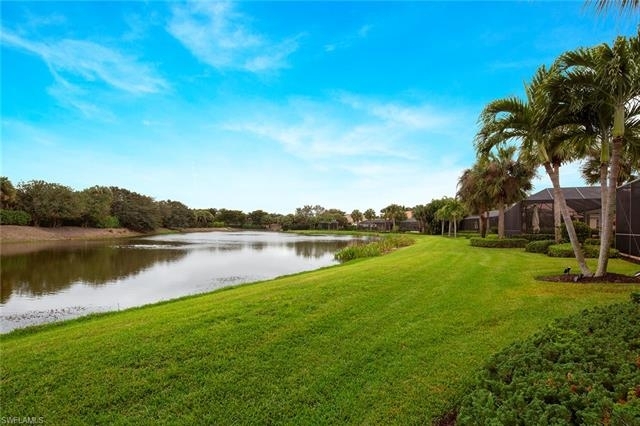 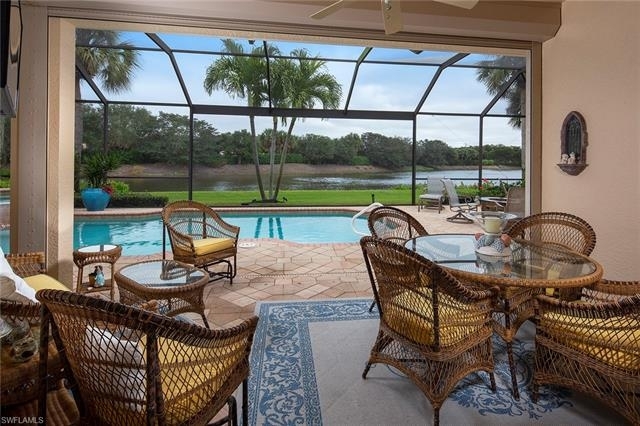 Enjoy breathtaking LAKE views through your picture screens on your lanai. 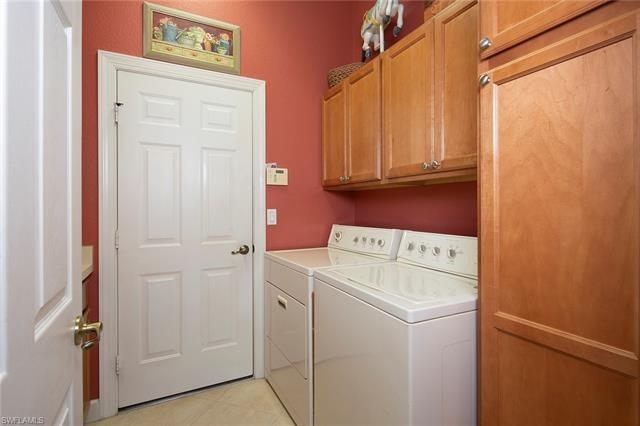 Features include, tile on diagonal in living areas, Built-in entertainment center, renovated kitchen with granite countertops, backsplash, stainless appliances, custom closets, HVAC and water heater approximately 3 years old, crown molding, plantation shutters, and tray ceilings just to name a few. 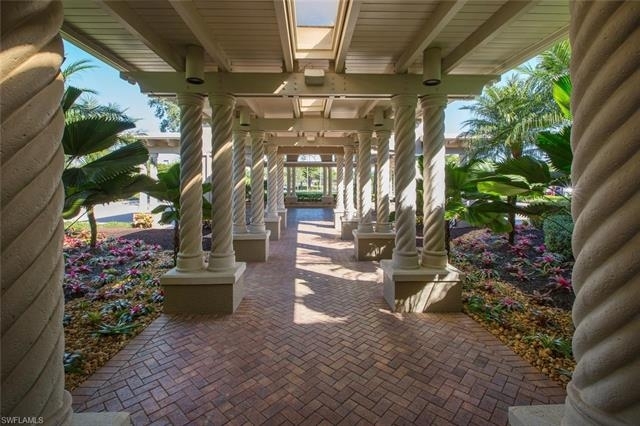 This home has Complete Hurricane Protection. 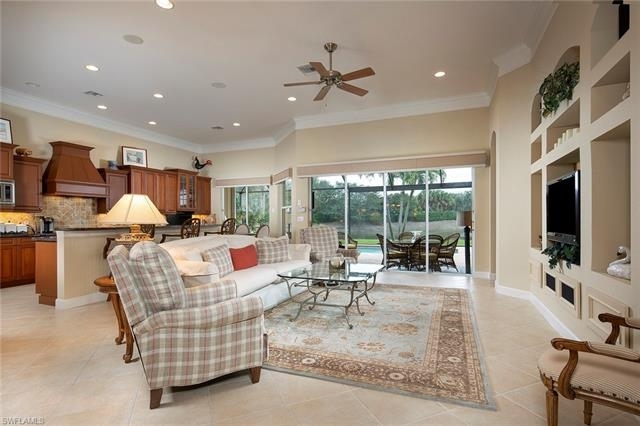 Electric hurricane shutters protect the back of the home on the lanai creating great storage space. 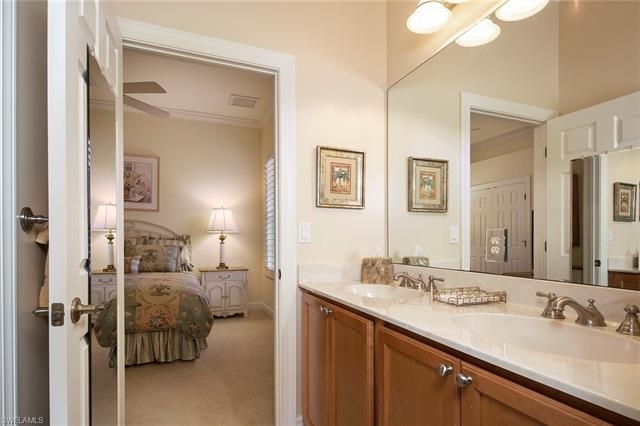 New frameless shower door in master suite. 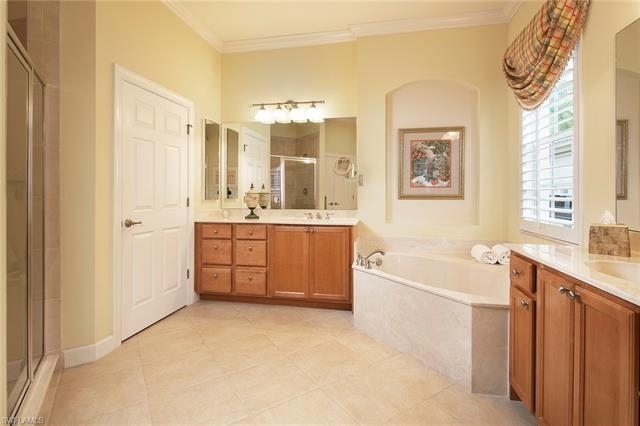 Each corner of the house has a guest suite with private bath space. 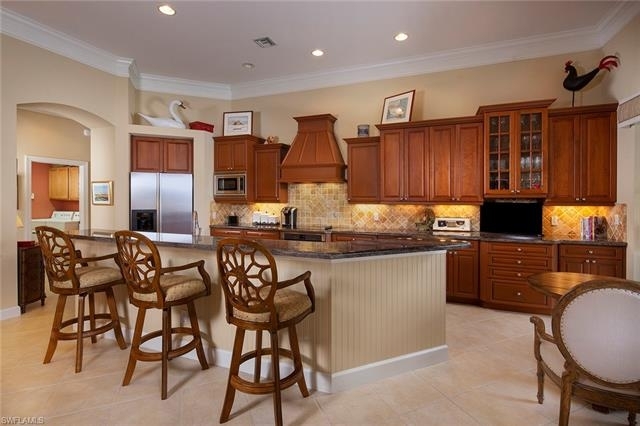 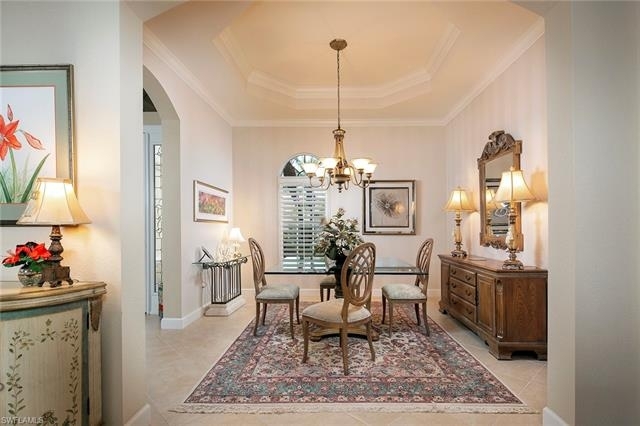 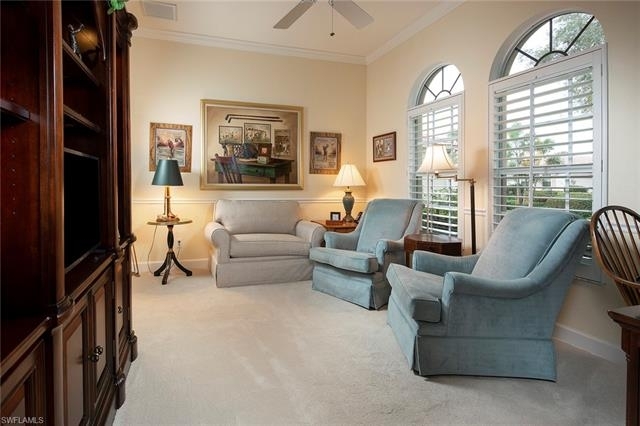 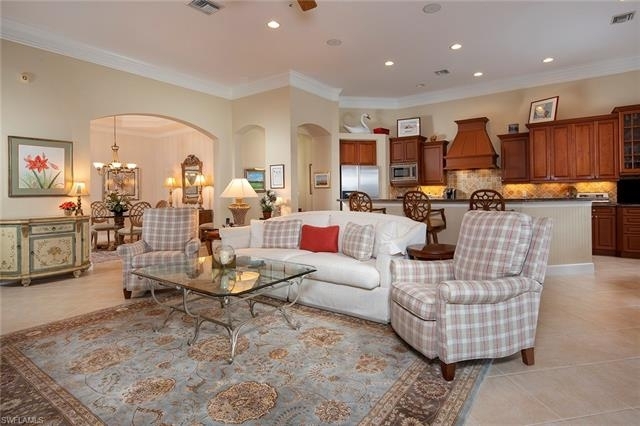 This is a must see, home has been impeccably cared for. 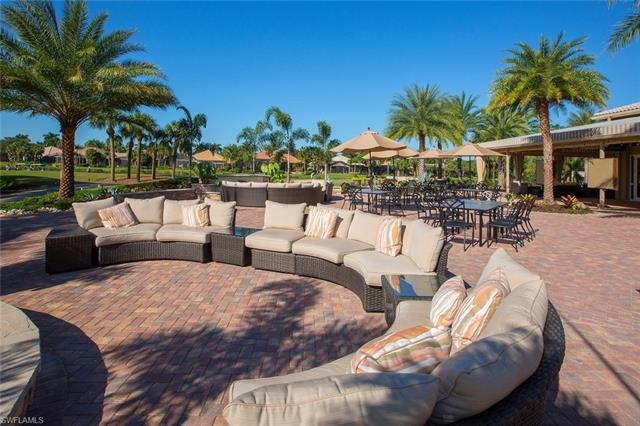 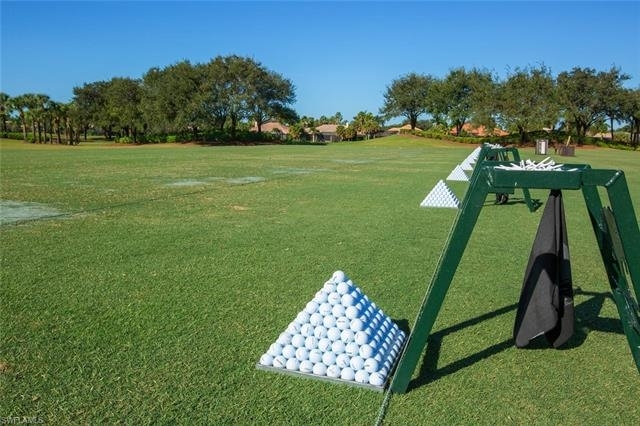 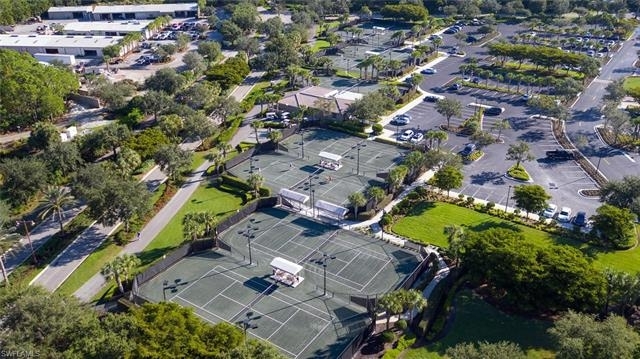 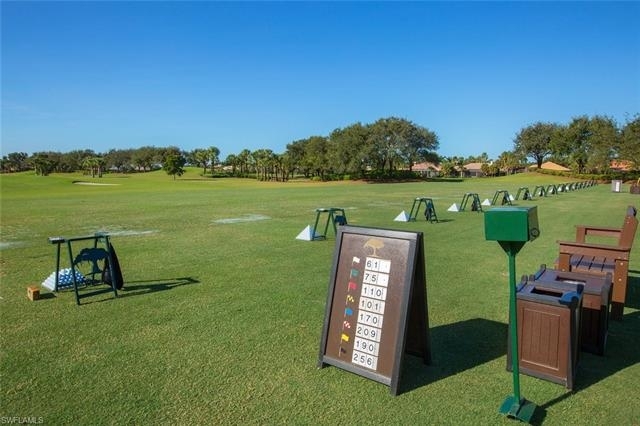 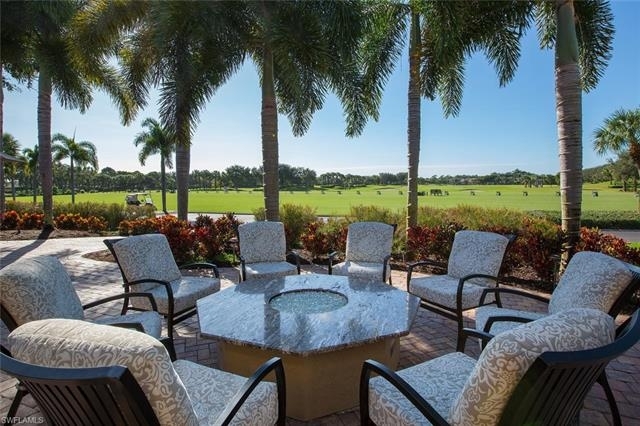 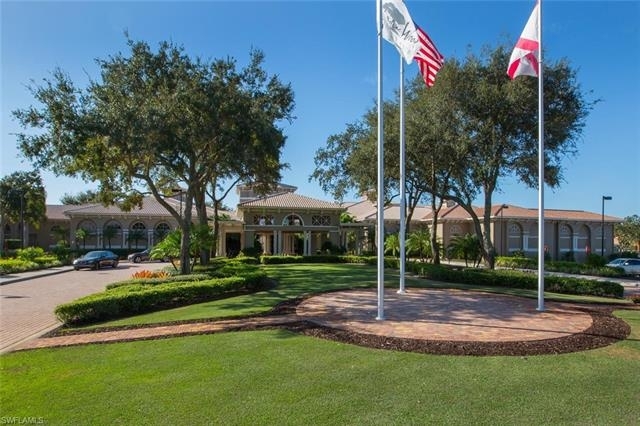 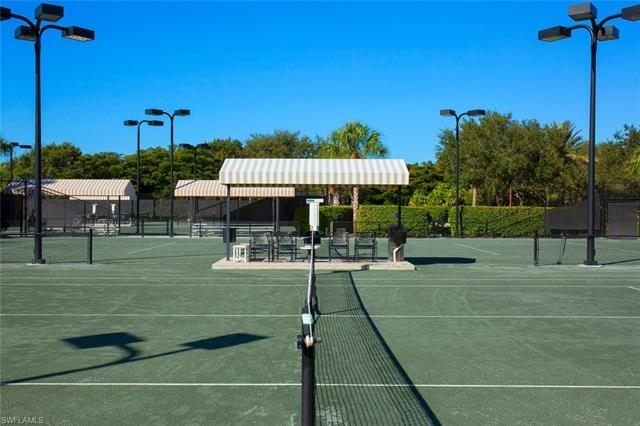 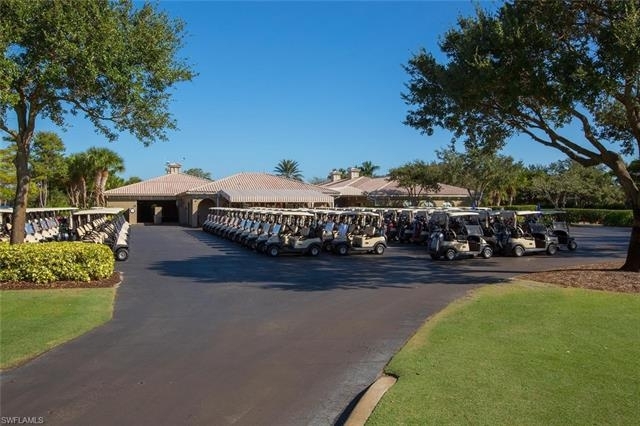 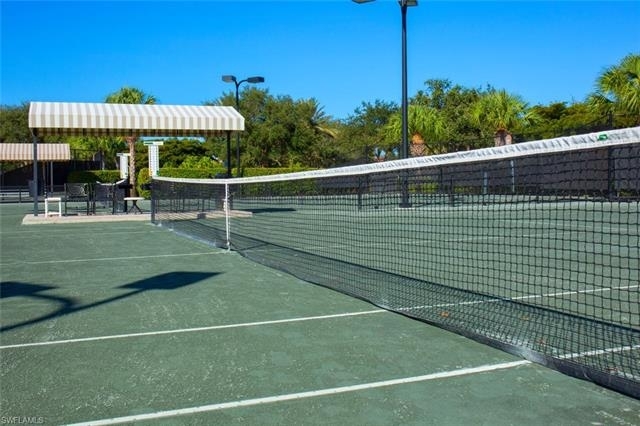 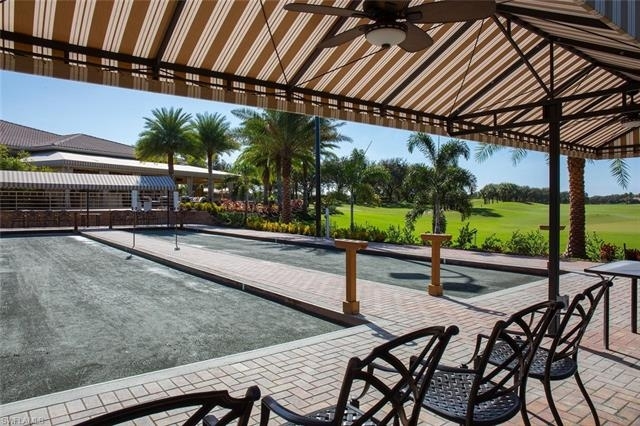 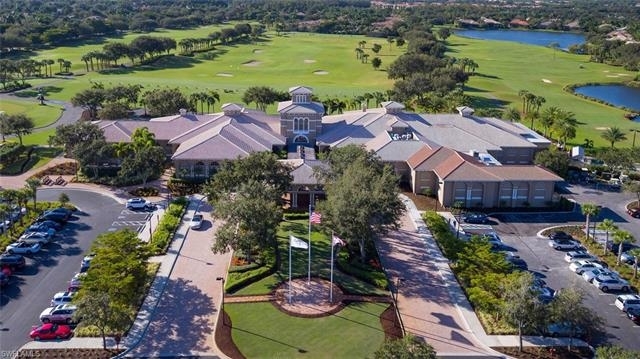 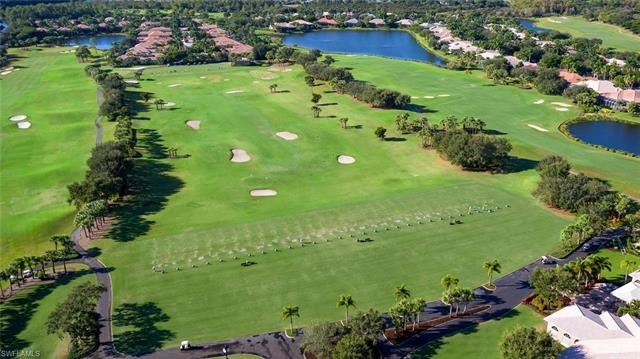 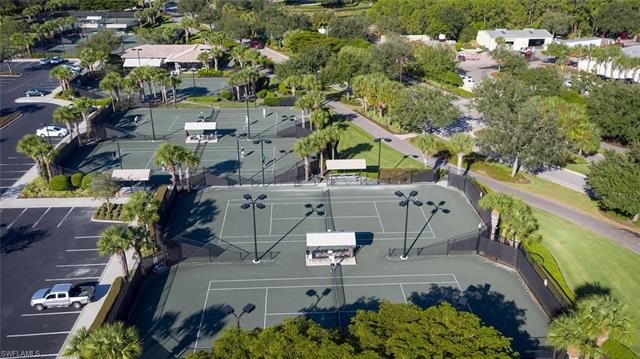 Shadow Wood Country Club offers 54 holes of private golf membership, private beach club, pickleball, member-only restaurant/Rookery, fitness facility, lap pool, fitness classes, tennis courts and an active lifestyle. 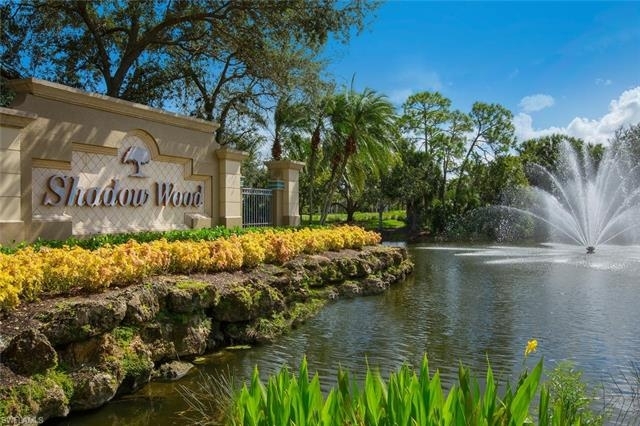 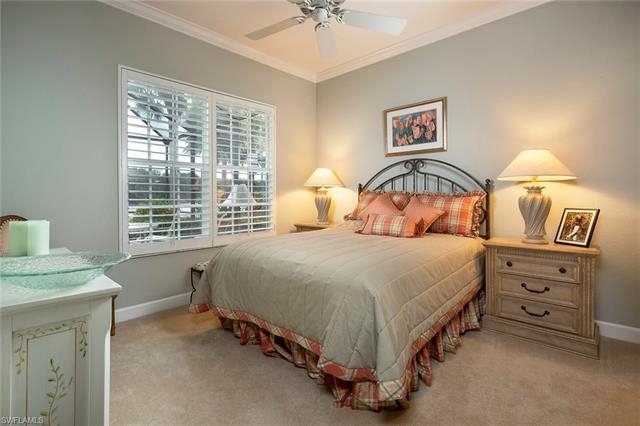 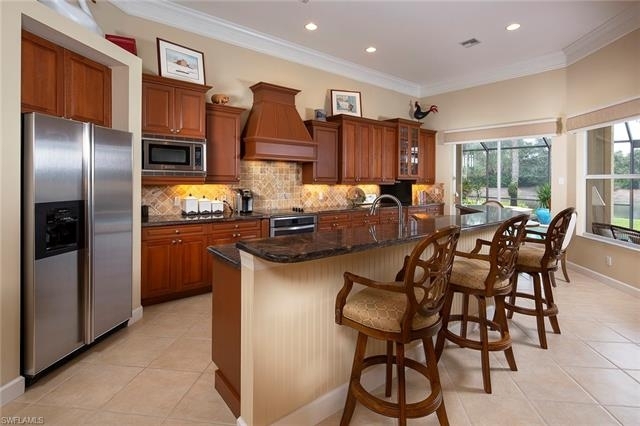 Minutes away from Southwest Florida International Airport, shopping, dining, and entertainment.